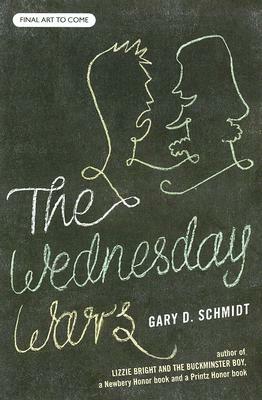 I was planning on posting a Jewish book a day for all of Chanukkah as part of the #Readdukah celebration of Jewish themed books. You may have noticed that I flamed out after six. Mostly that was because days seven and eight fell on the weekend and I was busy having fun with my family, but also I realized that I have not read nearly enough Jewish children’s books! So in lieu of days seven and eight, I’m adding an addendum to a New Year’s Resolution (look at how prompt I am with that!). My plan in the next year is to focus on reading books by and about marginalized voices. In addition to my list of books by authors of color, I plan to add more Jewish authors and also Muslim authors. 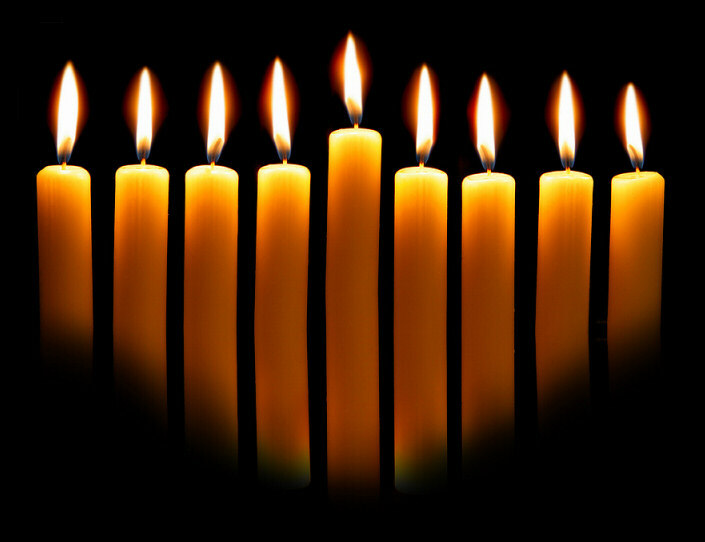 This year I’m participating in the 2015 #Readukkah Challenge hosted by the Association of Jewish Libraries. 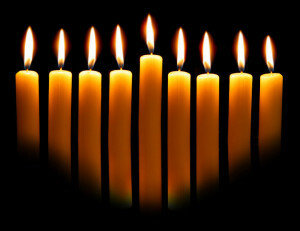 The goal is to spread the word about wonderful Jewish books during the eight days of Hanukkah. 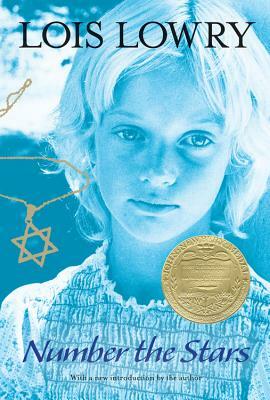 So here they are: eight days of good reads on Jewish themes. Enjoy! This engaging collection includes eight delightful tales from the Jewish tradition. Each story has been chosen for its appeal to families and each has a simple — yet powerful — message. 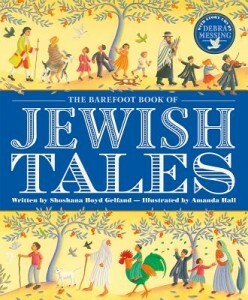 Written by Rabbi Shoshana Boyd Gelfand, herself a mother of three, this is a fantastic set of stories to share and to treasure. Includes two story CDs narrated by Debra Messing. I love all of the titles in the Barefoot Books line up. Our family has most of them (Princesses, Knights, Pirates, Horses, Animals, Grandmothers, and of course Jewish Tales). We love to listen to them in the car. Perfect for those trips around town. The readers are always great and the stories are fascinating. 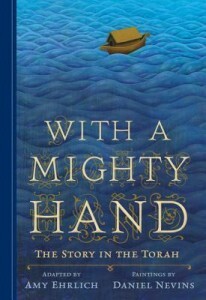 Amy Ehrlich retains the beauty, drama, and mystery of the Torah in this unique adaptation, gorgeously illustrated with paintings by Daniel Nevins. The Torah is the first five books of the Hebrew Bible, which Christians call the Old Testament. It tells the story of the beginning of the Jewish people and their relationship with God. From Adam and Eve to the first patriarch, Abraham, to Moses, who led his people to the promised land, the stories in the Torah have been studied and revered since it was first written down nearly 3,000 years ago. Now in this glorious volume, Amy Ehrlich crafts an authentic, lyrical adaptation that is presented as a continuous narrative, one that honors the complexities of the original text. Daniel Nevins’s richly hued paintings bring the ancient wonders of the Torah to resonant life, making this truly a gift to savor, share, and treasure. 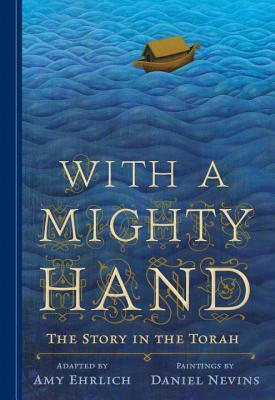 This is not your typical “children’s bible.” It does not attempt to simplify the stories of the Torah into easily-digested moral parables. Instead it captures all the thought-provoking, weirdness of the Torah in a way that leads to excellent family conversations. As the German troops begin their campaign to “relocate” all the Jews of Denmark, Annemarie Johansen’s family takes in Annemarie’s best friend, Ellen Rosen, and conceals her as part of the family. Through the eyes of ten-year-old Annemarie, we watch as the Danish Resistance smuggles almost the entire Jewish population of Denmark, nearly seven thousand people, across the sea to Sweden. The heroism of an entire nation reminds us that there was pride and human decency in the world even during a time of terror and war. Meet Holling Hoodhood, a seventh-grader at Camillo Junior High, who must spend Wednesday afternoons with his teacher, Mrs. Baker, while the rest of the class has religious instruction. Mrs. Baker doesn’t like Hollinghe’s sure of it. Why else would she make him read the plays of William Shakespeare outside class? But everyone has bigger things to worry about, like Vietnam. His father wants Holling and his sister to be on their best behavior: the success of his business depends on it. But how can Holling stay out of trouble when he has so much to contend with? A bully demanding cream puffs; angry rats; and a baseball hero signing autographs the very same night Holling has to appear in a play in yellow tights! As fate sneaks up on him again and again, Holling finds Motivationthe Big Min the most unexpected places and musters up the courage to embrace his destiny, in spite of himself. The women’s suffrage movement is in full swing in 1912 Portland, Oregon—the last holdout state on the West Coast. Miriam desperately wants to work at her father’s printing shop, but when he refuses she decides to dedicate herself to the suffrage movement, demanding rights for women and a different life for herself. Amidst the uncertainty of her future, Miriam’s attention is diverted by the mysterious Serakh, whose sudden, unexplained appearances and insistent questions lead Miriam to her grandmother’s Jewish prayer shawl—and to her destiny. With this shawl, Miriam is taken back in time to inspire the Daughters of Zelophehad, the first women in Biblical history to own land. Miriam brings the strength and courage of these women with her forward in time, emboldening her own struggles and illuminating what it means to be an independent woman. It is not about the Holocaust. Books about WWII are important, and I never want to forget that period in Jewish history, but too often it feels like the ONLY Jewish stories are horror stories. 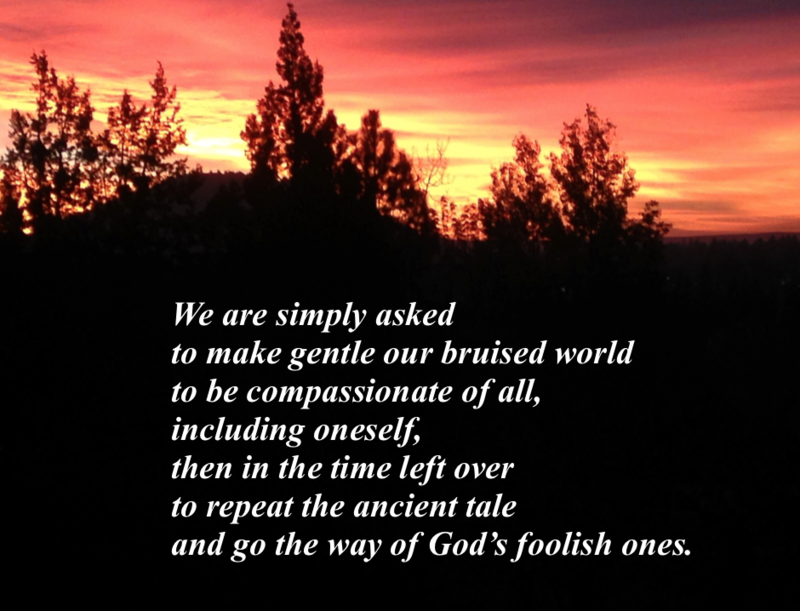 BLUE THREAD connects the experiences of Jews in two other important historical periods – the early 1900s during the suffrage movement and Biblical times. Miriam is a wonderful heroine with a distinctly modern voice. Also there is time-travel!!! 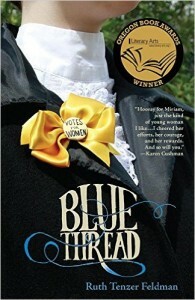 *The companion novel to BLUE THREAD is called THE NINTH DAY and it is also an excellent read.